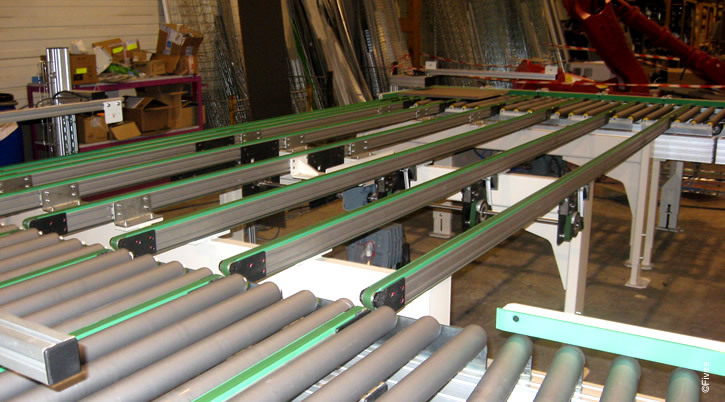 The etfa belt wood conveyor is designed for the transfer of wood panels at high speed. The two-materials belts protect tyhe panels from all deterioration. The etfa belt wood conveyor can be mounted on hoist and used as a track changer. Reliable : no maintenance, all the bearings are greased for life.